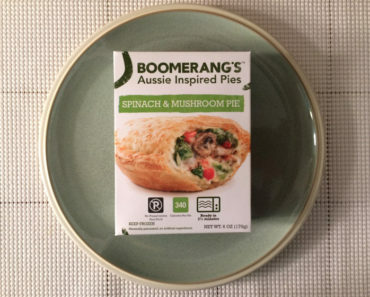 If you’re in the mood for a good pot pie, you could certainly do a lot worse than Boomerang’s. 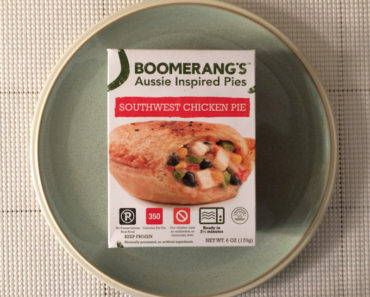 Their Chicken & Mushroom Pie is delicious, and the Southwestern Chicken Pie is great despite its American flavor (as opposed to the classic Aussie vibe the company claims to be shooting for). The heartiest of their pies, however, is the Steak & Potato Pie. 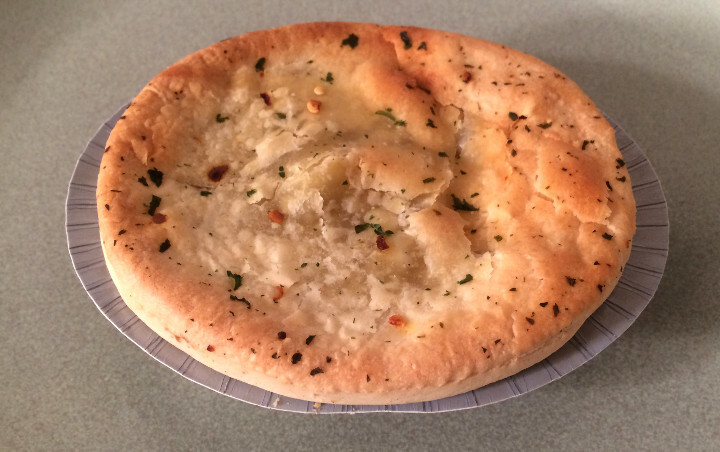 This is a real pot pie to satisfy a real hunger. 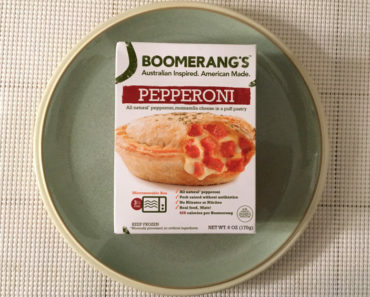 As always, the crust is incredible, and it survives its trip through the microwave surprisingly well. 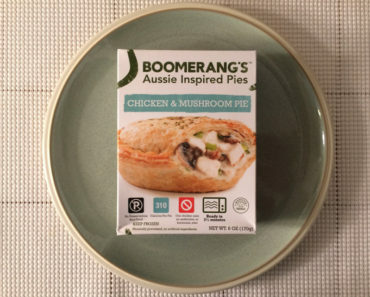 But it’s in the filling where this pot pie really shows its muscle. It comes loaded with chunks of steak, and those are juicy and loaded with beefy flavor. 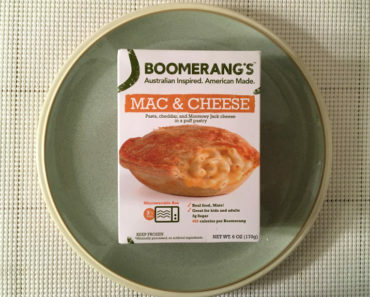 They’re packed between pieces of potato, which have this wonderful melts-in-your-mouth thing going for them. And all this, of course, comes in a creamy beef broth sauce to round out the meal. This is no wimpy meal, and it comes with its fair share of calories — almost 400, though only 90 of those are from fat. But, with its hearty helping of steak and potatoes, this isn’t a meal that will leave you hungry. We were pretty stuffed by the time we were done. 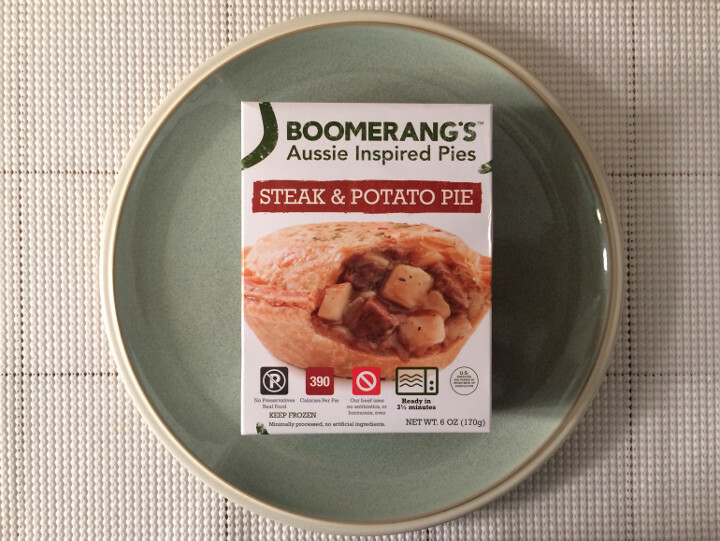 Boomerang’s Steak & Potato Pie is a filling frozen dinner with a great taste and some high-quality ingredients. We definitely recommend it. If you want to learn more about this meal’s ingredients and nutrition info, check out our package scan below.